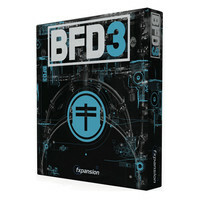 BFD3 is the third generation of FXpansions flagship drum studio software. With improved realism ground braking new features and a redesigned engine BFD3 is the best ever. This upgrade pack is for users of BFD2. Upgrade your existing BFD 1.5 to BFD II. BFD2s easy to use interface is redesigned from the ground up to give you more power and control for shaping your drums than ever before. 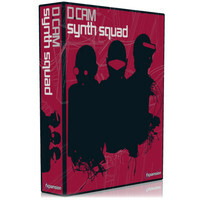 Its fast and easy to set up and integrate into your digital audio workstation of choice. Please Note: This is an Upgrade for BFD 1.5 to BFD II and requires BFD 1.5 to function. 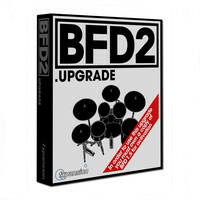 BFD3 is the third generation of FXpansions flagship drum studio software. With improved realism ground braking new features and a redesigned engine BFD3 is the best ever. Sample slice sequence mix arrange effect resample. 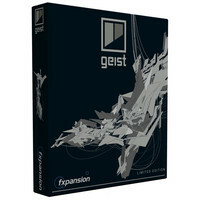 Geist is FXpansions next-generation sampling drum machine designed to create evolved custom beats and grooves freeing you from the limits of pre-packaged loops and over-complicated DAWs. 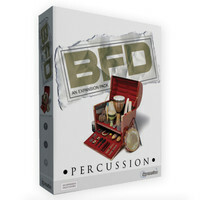 The BFD Percussion expansion pack for BFD offers an extensive suite of detailed percussion instruments and Grooves to complement the drums in your BFD installation.